Maruti Suzuki is ranked the highest in customer satisfaction and after sales service studies according to JD Power Asia Pacific's customer satisfaction reports in India. Maruti Suzuki scores 906 points in the study and Honda Car India comes second with 880 points. 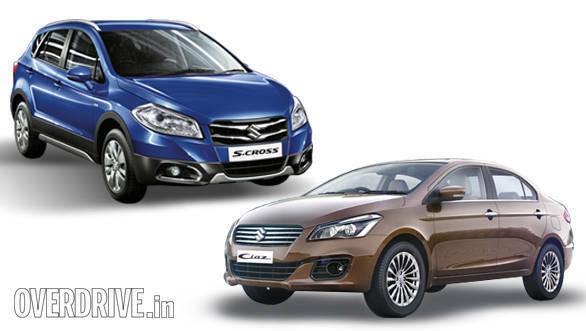 There are various key findings that reveal that Maruti Suzuki has improved in most aspects compared to the last year. The routine car maintenance and service quality has been reported to have improved from 79 per cent to 86 per cent. Customers say that they were contacted for service reminders either by phone, text or both. In terms of quality of Maruti's car cleaning services, five per cent more customers have reported they were satisfied compared to the last calendar year. More than half of the customers also agree that it took less than ten minutes to pick up their vehicle, after finishing the paperwork. Nearly twice as many customers are satisfied with their ownership experience, says Maruti Suzuki. These surveys were based on an evaluation of 7,468 vehicle owners who have purchased cars between May 2013 and August 2014. The study was carried out from May to August 2015. J.D. Power Asia Pacific today released a study on India Customer Service Index (CSI). According to the study, automotive manufacturers' focus on efficiency and customer convenience has led to improvement in after-sales service Satisfaction in India. Key Findings: · Notifying customers for routine maintenance has improved, as 86 percent of customers indicate they were reminded about vehicle servicing via phone, letter or SMS/ text in 2015, up from 79 percent in 2014. · Delivering a clean vehicle post service - an important driver of satisfaction - has improved by 5 percentage points from 2014. Satisfaction among customers who receive their car back cleaner than when they brought it in for service averages 879, which is 44 points higher than among those whose car is about as clean as when they brought it in for servicing. · More than half (51%) of customers indicate they finished the paperwork and picked up the vehicle within 10 minutes after servicing, which improves overall satisfaction by 22 points. · Nearly twice as many customers who are highly satisfied (satisfaction scores of 977 or higher) say they "definitely would" recommend their service dealer to family and friends as those who are highly dissatisfied (scores of 797 or lower) (93% vs. 38%, respectively). Additionally, highly satisfied customers are three times more likely to say they "definitely would" revisit their service dealer for post-warranty service than dissatisfied customers (92% vs. 29%, respectively). The 2015 India Customer Service Index Study is based on evaluations from 7,468 vehicle owners. The study was fielded from May through August 2015 and includes owners who purchased their vehicle between May 2013 and August 2014. Study Rankings · Maruti Suzuki ranks highest in satisfaction with after-sales customer service among mass market brands for a 16th consecutive year, with a score of 906. Maruti Suzuki performs well across all factors, with the greatest improvements in service initiation followed by service facility. · Honda (880) ranks second and is the most improved nameplate in the study.